In previous entries I did a short history of LA Metro's route 176 and a brief description of route. 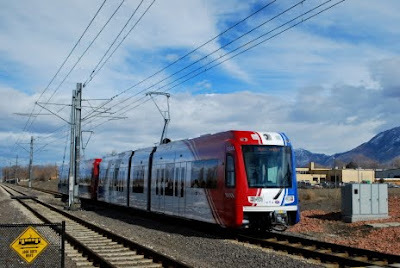 As promised today I am going to look at the 176 from a marketing prespective, look at some alternatives to make the line more successful and finally look at some alternatives for the western end of the line to keep some bus service in the section of route that has no announced replacements. First of all, there is two things that is currently hurting route 176. The first is the current schedule of the 176. Right now the buses run every 70 minutes.You could basically call this a bean counter schedule. The present route requires a 55-minute running time so with layovers you can run the service with only two buses. While a bean counter may like being able to run the route with only two buses, it will not attract any choice riders because of the lack of frequency. While a 60-minute frequency still would not be enough to attract a large number of choice riders, at least the buses would be running at a schedule to remember. Having the ability to know that a bus should always come at six after the hour makes riding the bus simple compared to the bus comes at different times at every hour of the day. Another item that hurts the 176 from a marketing perspective is the lack of major destinations along the route. As I mentioned in the route description the route does service a major industrial park but they have their own built in limitations. The bus also serves a major tourist destination in the San Gabriel Mission but very few tourist will venture onto Metro buses, especially in the suburban areas that bus service is extremely sparse. The route does not service any major shopping centers either. Alhambra has a small 20 year old minor mall, but it has no regional draw. Except for the downtown South Pasadena area, most of the retail along the route is aging grocery store centers and strip malls which are not conducive to riding the bus. 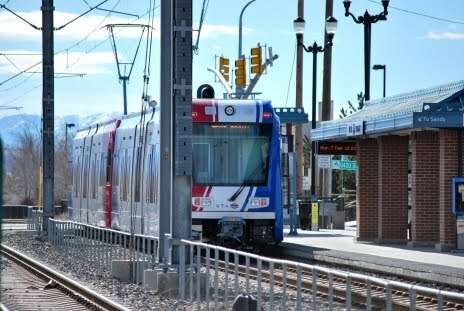 One of the problems faced by many Metro routes is the long held philosophy of Metro's predecessor RTD and Metro itself. Their concept was to run a bus as far as it could in the same corridor creating extremely straight but long routes. The problem with the 176 is that there is not a lot of through streets in the area that do not go into NIMBY land, so the route was always one of compromise. 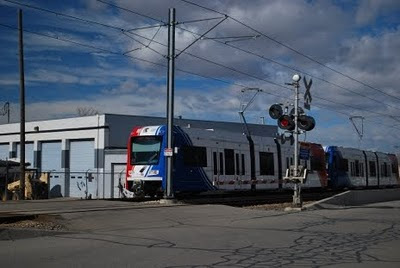 What the 176 is a community feeder line that the RTD turned into an extremely long route that did not work. Sadly, RTD's successor has also done a poor job of designing routes that are not major corridor routes or designing any routes at all. There has been few changes to the bus routes outside the ones that were forced on Metro by the Bus Riders Union Consent Degree. What can be done to change the route? While none of these proposals would be acted on, here are some ideas to create a more successful route 176. Idea one would actually restore a portion of the route to Glassell Park but avoid the section of Division Street which caused all the NIMBY issues due to worn out 70+ year old concrete with its sub base worn down by erosion. Not only would restore service on a portion of Avenue 50 and El Paso that loss service a couple of years ago, but it would also add service along a portion of York Blvd that has never had bus service and add service to the biggest regional mall in the area. However, the potential customers who would travel to the mall would be residents of South Pasadena who would most likely not be willing to ride a bus through Highland Park. The route would also duplicate part of one of the Glendale Beeline routes and MTA Route 183 which could be seen as a negative. Idea two is a variation of Idea One. Back in the 1980 period, RTD proposed major changes to transit service in order to change routes so that they did not look anything like the streetcar routes that once existed. In the vain attempt to eliminate anything that resembled old streetcar routes, RTD proposed to replace service on then route 6 (now 83) on York Blvd with a reroute of Route 430 (176) along York. The downside of this is that the frequency of the 83 along York is every 25 minutes so the present frequency of the 176 would not satisfy riders along that portion of York Blvd. However, it would also have the benefit of creating new service on the section of York Blvd north of Eagle Rock Blvd that has never had bus service before. Here is a third idea that adds service not only to the Glendale Galleria area but also serves the Glendale Metrolink station and provide connections to Bee Line. 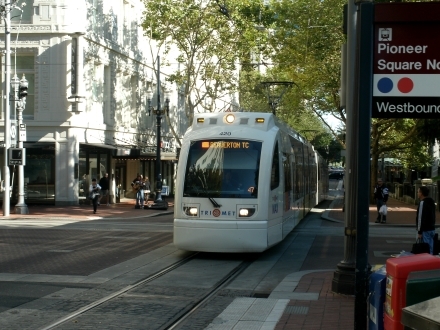 The benefits that all these proposals have in common is to increase the number of major destinations served by the route (although they would still be on the extreme end of the line), add service to areas that do not presently have any, and provide new connection opportunities that do not presently exist with the 176. The question is would the increased ridership justify the increased cost? The present scheduling of the route would nulify any improvements to the destinations served due to the lack of service frequency. Since Metro is planning to save the eastern portion of the route, here is an idea to save service on the western portion of the route. Now this would have been easier if Metro still operated route 262, however that route is now Montebello Bus Lines Route 30. The route could be extended from its present terminus at Garfield/Atlantic/Huntington Drive triangle to replace the portion of Route 176 to Highland Park. This would eliminate that evil duplication that occurs in Alhambra and save service through South Pasadena to Highland Park. The ultimate issue with the route is something that cannot be resolved and that is the economic and social divide that separates South Pasadena from the other communities the 176 travel through. The best solution which is Metro has no concept in operating, will be to work with the city of South Pasadena and set up a Call N ' Ride operation for the city providing every half hour connecting service to the Gold Line. This would provide service to those that need it in the area plus provide convenient connections to other services. When push comes to shove, there is few people who will probably notice when the 176 disappears from the landscape. After 35 years of being ignored except to cut service to the bones, there is few riders left to really care what happens to the western portion of the route. Last time I gave a brief history of LA Metro's Route 176. Today I will describe the route and some of the social-economic situations that exist along the line. Map and schedule of the 176. As I mentioned yesterday, the 176 currently starts its run near the corner of Figueroa and York in Highland Park. The actual end of the line is behind a aging 70's shopping center. At the corner of the shopping center is a fast food restaurant that used to be very good although I have not been there in several years. Highland Park used to be a streetcar suburb but these days is sadly better know for the large amount of gang violence that takes place in the area. It is not an area you would want to be walking around after the sun goes down and sometimes even when it is up. After leaving its layover zone the 176 turns on Avenue 64 before turning left onto York Blvd and crosses the elegant York Avenue Bridge. To the west you can see the very tall former Santa Fe bridge that the Gold Line now travels across. If the payment has worn down enough on the York bridge you can see railroad tracks in embedded in the street (unless they have been removed in the last few years). These are not former Pacific Electric tracks but are the only remains of a profitable former Union Pacific branch line that used to run all the way to Pasadena. However, when Interstate 210 was put in the tracks were forced out. After you cross the bridge over the Arroyo Seco you have not only gone over a divide in the land, but you have also crossed a major economic divide. You have now entered the city of South Pasadena who has infamously been fighting the construction of a freeway segment for many years. Don't get the idea that there is a up-swelling of anti-car attitude in the city, they want the freeway they just in somewhere else (read between the lines: over toward the Los Angeles border in the less affluent part of town). The first stop in the city used to generate some peak loads as there was a clothing manufacturer located here but it has been gone for many years and the riders with it. The line then makes brushes the Gold Line before heading north on Pasadena which turns into Mission Street. At the corner of Mission and Meridian is the Gold Line's stop in South Pasadena with the 176 being the only full time bus service the station sees. The route then travels through the small South Pasadena business district which does not look all that different from the scenes shot here for the 1980's Michael J. Fox film "Teen Wolf". At the corner of Fair Oaks and Mission you have a connection with Metro Route 260 and there is also the Fair Oaks Pharmacy which features a classic soda fountain counter. Once pass Fair Oaks the route travels through a residential area before turning onto Garfield and traveling along the San Marino/South Pasadena border. The route then crosses Huntington Drive and once again moves out into the city of Alhambra. 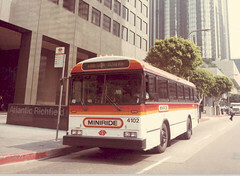 Until the route turns onto Main Street, the 176 shares the route with Montebello Municipal Bus Route M30. Once the route turns onto Main Street it travels through the heart of the Alhambra Business District. Along Main Street the 176 shares the street with the 79 which means that along two of its primary corridors it shares the streets with other routes and we know how some transit circles see any duplication of service as something to be avoided. Just after Main Street turns into Las Tunas the 176 turns onto Mission and passes the San Gabriel Mission. Metro plans to continue serving the rest of the 176 route by extending another route to run from El Monte to this intersection since it is the busier section of the line.The route along Mission is mostly residential with some small businesses located along the way. Most of the neighborhoods would rate as lower middle class. The route continues down Mission, turns onto Rosemead Blvd sharing the street with the 266, then travels through the Telstar Industrial Park before making its way to the El Monte Bus Station. The Industrial Park is another generator of business but like most industrial parks generates those riders at only shift change times. That gives you a very basic concept of the route. Next time I plan to look at the route from a marketing prospective to see what is the major failings of the route and what can be done to make the route more viable. I will also look at some alternatives to keep service along most of the route. Like most transit systems across the country, Metro in Los Angeles has been facing tough economic times. However, like the rest of its brethren in California, they have also been facing a double whammy of recession and money being taken out of transportation to shore up its crumbling general fund by the former governor. Now Metro is proposing to cut even more service in June including route 176 which travels from Highland Park to the El Monte Station at the eastern end of the El Monte Busway. The 176 is near and dear to my heart because I spent many years living along the route and riding it. Here is the map and schedule of the current 176. The route first started as a Pacific Electric bus traveling from Mission and Fair Oaks in South Pasadena to Alhambra connecting several of the PE's major rail lines. The bus line was later extended to replace rail service and for many years was route 79 traveling from Main and Garfield in Alhambra through South Pasadena and Highland Park and ended up at Huntington Drive and Monterey Road. In April, 1976 the RTD, Metro's predecessor, revamped routes in the San Gabriel valley and surrounding areas, and the little 79 was split up into two other lines. The first line, the 143, took the park of the 79 from Highland Park to Huntington and Monterey Rd. and continued all the way to East LA. The 143 was latter merged with route 425 and later renumbered 256 which continues today although it has also faced being axed at one time or another over the last few years. The 430 took over the other part of the 79 from Highland Park to Alhambra plus portions of other routes to create the present 176. In early 1977, the route was extended from Highland Park to Glassell Park via Ave 50 replacing a short shuttle route. For 30+ years the 430/176 traveled back and forth between Glassell Park and El Monte with little notice until the portion between York and Figueroa in Highland Park to Glassell Park was cut in order to allow Metro to retire its remaining and aged 35 foot RTS buses. That brings up to the present time and the very real possibility that this route will probably meet its demise in a few months. I am going to use this route as a case study on what can be done to route that has largely been ignored for 30 years to improve its performance, the socially-economic conditions that apply to the line, and some alternatives to the Metro proposal. In the next entry I will describe the current route and some of the different neighborhoods the bus travels through and other interesting facts about the route. Beware the ides of… February? This week a brief of some current events. Just How Much is that Wild Goose? Just how many names can one give to a hole in the ground? What does one name a hole that does not really exist? This particular hole, meant to connect suburban New Jersey with New York City, has had many names and titles. 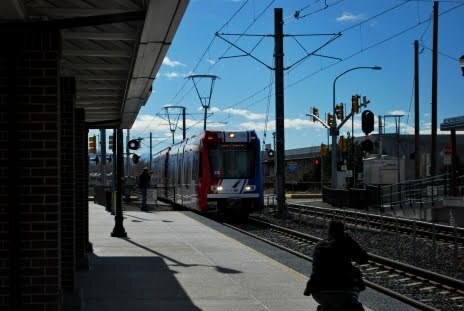 A decade and half ago, it was known as the “Trans-Hudson Express Tunnel” (THE Tunnel) or, deridingly, as the “tunnel to Macy’s basement.” Later known as “Access to the Region's Core,” (ARC) ground was officially broken in June of 2009. On October 27, 2010, New Jersey Governor Chris Christie (New Jersey being the only state officially participating in this project) gave it a new name: Dead. Concerned that the $8.7 billion undertaking would spiral to Big Dig proportions, the governor decided the price was too rich for New Jersey’s blood. There were meetings and more meetings between Trenton and Washington, but despite Federal demand for payback of $271 million, the project was axed once and for all… or so it seemed. Two days earlier, the City of New York contracted with Parsons Brinckerhoff, Inc. to (quickly) study the feasibility of extending the No. 7 subway line west, under the Hudson River to NJ Transit’s station at Secaucus, New Jersey. Unlike the previous tunnel plans, this would allow riders transferring at Secaucus access to the West Side of Manhattan, Times Square, Grand Central Terminal, and Queens, without traversing an already-full Pennsylvania (Penn) Station. Unlike the ARC, the Gateway Tunnel (actually two tunnels with one track each), proposed by Amtrak and friends, will not terminate north of Penn Station or Macy’s basement. Rather, it will run directly into Penn Station, adding to its already burgeoning passenger congestion. Currently, Penn Station handles a daily crush of some 600,000 persons. The existing century-old, twin single-track tubes handle a maximum of 23 trains per hour. It is expected the new Gateway Tunnel will allow for an additional 21 trains per hour. No source for this project's funding was cited. Just two days later, on February 8, Vice President Joe Biden announced a new Administration initiative to spend $53 billion over the next six years on High-Speed Rail projects nationwide. The goal is to allow high-speed train access to 80 percent of the public within 25 years. Again, no source for the requisite funds was cited. Not everyone is onboard with the immediacy of interest in “High-Speed Rail.” As has been reported in these pages before, many have advanced their political careers on “stop the train” platforms; therefore, it does not portend well that the two U.S. Representatives who declared this initiative “dead on arrival” are the House Transportation Committee Chairman and Railroads Subcommittee Chairman. To date, $271 million has already been spent. This includes $26.3 million for property acquisition in New Jersey for what was the ARC project; and $50 million has been proposed for more study of “ARC-lite.” Of the $10 billion pledged for “High-Speed Rail,” at least $1 billion has already been spent. To keep this all in perspective, Amtrak currently has on-order 70 new railcars for Eastern trains at approximately $2.3 million per each. The $1.321 billion already spent and proposed could have purchased over 500 of these railcars, expanding Amtrak's existing fleet by one-third. The problem with a wild goose chase is that regardless of the amount of money or resources expended, one still may not wind up with the goose. Lathen, a small city of some 11,000+ souls (in 2009), may not ring a bell in the minds of those from outside the Emsland district in Lower Saxony, Germany. Yet, Lathen boasts what may be considered the world's fastest form of overland transportation. This is where ThyssenKrupp's Transrapid Maglev test track extends over 30 kilometers. If one is interested in buying one’s very own maglev transportation system, then Lathen is the place to visit. The test track was built to devise, test, improve and (most importantly) sell the concept of maglev; nothing more, nothing less. It does not see active scheduled service for the general public to ride. The team members involved in writing, editing, and publishing this newsletter are all current or former residents of the State of Florida. As such, we have been watching intently the now almost-daily developments, with the latest incarnation of fast trains here being Florida High-Speed Rail. On February 16, newly-elected governor Rick Scott officially turned down $2.4 billion in Federal funds earmarked for the initial east-west, Tampa-Orlando route (roughly 80 miles). His reasoning for doing so included projected cost overruns and questionable ridership/revenue projections. This has become quite the firestorm in Tallahassee, and may rage for some time to come. Governor Scott was not the only one questioning the validity of this project. At this year’s Southwest Rail Conference, one presenter succinctly pointed out that American HSR supporters were “attempting to have their icing without bothering to bake the cake.” Specifically he added, “Florida needs to mature its HSR plans.” Transporting tourists from theme parks to the beaches on the Gulf of Mexico is not a mature reason for building HSR. When the go-ahead for High-Speed Rail projects came early last year, it was like popping the cork on a bottle of long-fermenting ideas. For Florida, it was a matter of dusting off the plans for the stillborn Florida Overland eXpress of 1996. When proponents for Florida HSR were questioned about the validity of this endeavor, the answer was curt and simple: The state already owns the right-of-way, and the environmental impact studies are complete. It is true that both of these prerequisites are a major hurdle for any project; still, is it not odd that public benefit was not one of the top two reasons for building? Numerous potential companies and consortia of companies have been eagerly awaiting the expected payout to develop all the systems for such a project. Now that it appears Florida HSR has been scrubbed, those would-be builders are scrambling. Without Florida, where else will they “beta test” their product? Without Federal money, who will pay to develop new, or adapt existing, technology for use in America? Had the Tampa-Orlando line been built, the technology would have been built, tested, redesigned, retested, ad nauseam until everything was ready for primetime; after which, maybe the second phase of Florida HSR, a north-south, Orlando-Miami route (roughly 230 miles), would have been built. Tampa-Orlando is, however, a bit of a misnomer. In reality, the Eastern terminus is not the city of Orlando, but rather the airport (which bears its name, but is nowhere near Orlando). The western end is not the beautifully-restored downtown Union Station, but rather a parking lot off the highway. The likelihood of drawing riders was about par with drawing bees with vinegar. No matter how technically successful this may have been, would the public tolerate the spending of billions more of public monies in order to go to Miami? Every project has to start somewhere; and someone has to pay for it. Whereas private dollars may combine with public monies and actually build the line on State property between Tampa and Orlando, what about the future? When the champagne stops flowing and the confetti settles, there will still be a train to run. Will those private dollars still be there to fund its operation? When all is said and done, Florida HSR is nothing more than a novelty, a $2+ billion tourist attraction for foreign and domestic visitors to gawk at before moving on to the next attraction. Speaking as a resident this very expensive, publicly-funded tourist trap is the last thing we need here. For those arriving on this page today expecting to see Transit In Utah...surprise this blog has a new name to go along with some change in focus in the next few months and some changes in my personal life. As I mentioned a few months ago I tried to expand the focus of the blog from covering happenings in Utah but also covering areas of interest across the United States and Canada especially in the cities I have good familiarity with such as Southern California, the San Francisco Bay Area, Utah, Las Vegas, Charlotte, Portland, Spokane and Seattle. I might move the blog to a different platform once I study more on the different options and I have registered the follow url: http://www.urbanplanningandtransportation.com which is directing to this page at the present time and the forcible future. The main reasons for these changes is that there is going to be a major change in my personal life over the next 4 months. While I have kept my personal life and this blog separate since its inception, this blog is actually driving some of the changes in that life. While I do have a degree in Business Management (a two year degree) and tons of experience, the last few years have been difficult. Before I attended Railvolution in October, I was thinking of returning to school but was torn because Utah schools would not accept most of my credits so was looking at moving back to Spokane where my credits were earned. However, our first choice was to move to either Portland or Seattle and after talking to Portland Community College I found out they would take my existing credits which is great since I only need a few classes to get a transferable degree. From there I plan to apply and attend Portland State University to get degrees in Urban Planning and Economics. In May I will traveling up to Portland in order to find a place to live. My goal is to find a place with easy transit access to the PCC campuses and PSU. There is some other changes going to take place in March that is going to affect the type of apartment I can find. I hope you enjoy reading of my adventures of trying to find a place to live that meets these requirements. In my years doing this blog we have seen a lot of changes both good and bad both in Utah and across the nation. I hope to make it back down to Salt Lake in August for the opening of the new TRAX lines since I have been watching progress on the these lines since they were first proposed but am not sure at this time. To my regular readers, I hope you will continue enjoying this blog, I plan to continue providing observations on urban planning and transportation. This week a tale of caution, a tale of woe, a tale of passenger rail investment in our 21st Century. "During the past 35 years, the State of Ohio has continued planning for the reinstitution of passenger train service on its Cleveland-Columbus-Cincinnati corridor and vested several state agencies with that responsibility. 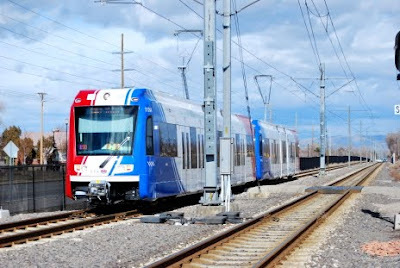 In 1973, the Ohio Legislative Service Commission (LSC) moved to ‘study the feasibility’ of establishing a rapid transit system connecting Ohio’s ‘major cities’ in response to the Arab Oil Embargo. In 1977, the Ohio Rail Transportation Authority (ORTA) was created by the Ohio General Assembly to continue feasibility planning. In 1979, the Ohio legislature passed a law urging neighboring states to join them in exploring the potential for the development of a regional rail system within the Great Lakes Region. Following the 1982 defeat of a statewide sales tax initiative to advance high speed rail service, ORTA was abolished and its staff moved to the Ohio Department of Transportation. “The initiative advanced in 1991 when the Intermodal Surface Transportation Efficiency Act of 1991 (ISTEA) was enacted funding safety improvements at highway-rail grade crossings on corridors that were ‘designated’ as high-speed intercity passenger rail corridors based on their present utility and their potential for future development. It was in 2000 that the FRA designated the 3C Corridor as an extension of the Chicago Hub network and included the primary points or cities along the line: Cleveland, Columbus, Dayton and Cincinnati. Talgo, for its part, kept its end of the bargain. They set up shop in the former Tower Automotive facility in Milwaukee with the promise of jobs in an area perpetually hit by hard times. The train sets to be delivered are of the new Talgo Series VIII, which are to be fully FRA-compliant and needing no waivers. The two sets ordered in 2009 will be placed in service on the existing Chicago - Milwaukee Hiawatha service. (The state of Oregon also ordered two sets, also to be built in Wisconsin.) It was initially hoped that two more train sets would be ordered for the expanded Madison - Milwaukee service. Ultimately, a new maintenance facility would be established in Madison. At face value, this seemed like a good idea; a state connecting its largest city to its capital. New Mexico accomplished the same in 2008 when it connected Albuquerque with Santa Fe; however, the New Mexico Rail Runner has the look and feel of a commuter train, and has a total length of 97 miles. Recently the Commonwealth of Virginia announced its intention to connect its second largest city, Norfolk, with the state capital of Richmond, a distance of 109 miles. At no time in either case was the moniker “High-Speed” ever used or applied. As with most parties these days, however, after the champagne stops flowing and the music stops playing, comes the stark dawn of day. The HSR party was no different. This ersatz High-Speed Rail was deemed as grossly indulgent in an era of austerity. New regimes elected to high office in Ohio and Wisconsin view HSR as too rich for their blood. Both new projects have been canceled, and the Federal monies reallocated to other states. 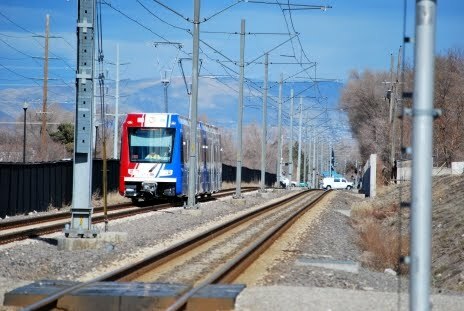 On Monday UTA held a press photo event to see the new Siemens Low Floor S70 light rail vehicles now testing on the Sandy line. 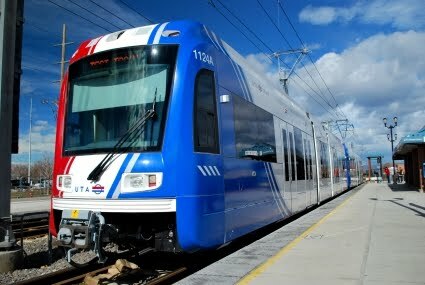 UTA also announced that the cars should enter regular service in the spring.